On 21st March, they will begin the world’s first ever attempt to cross the Antarctic continent in winter. We had the chance to discuss via satphone with Sir Ranulph Fiennes and his team, who are already in Antarctica. Ran Fiennes is also a marathoner and participated to the 2004 North Pole Marathon that he finished second. 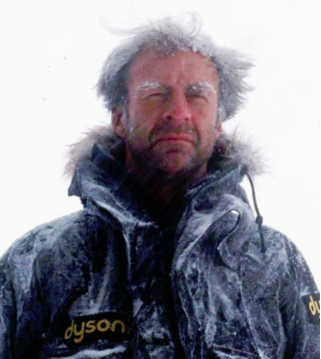 Ran Fiennes’ next challenge is to lead the first team of explorers skiing across Antarctica during the southern winter, in aid of the charity Seeing is Believing. The 4,000-kilometer journey across the Antarctic continent during the polar winter has for many years been considered too perilous to try and the expedition’s six-man “Ice Team” will have to overcome one of earth’s most hostile environments if they are to succeed, exposing themselves to temperatures dropping close to -90°C and operating in near permanent darkness. Such an attempt to cross the Antarctic during winter has never been made before because of the technical complexity required in order to complete it successfully. Only now is technology sufficiently advanced that equipment can be modified to withstand the extreme temperatures and hostile conditions. Scheduled departure date is March 21, 2013. 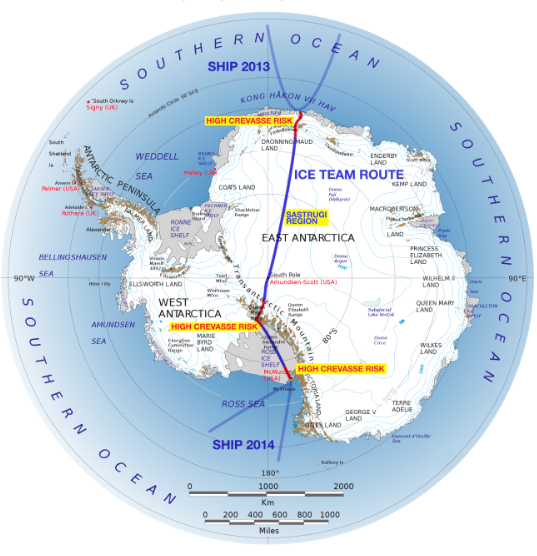 The crossing from Crown Bay, via the South Pole, to Captain Scott’s base at McMurdo Sound, should take six months. Last January, the team has been dropped off by ship (with more than 100 tonnes of equipment necessary for the expedition) on the Pacific coast of the Antarctic continent. The team is currently preparing the traverse from their base camp at Crown Bay and waiting for the Southern Hemisphere’s Fall equinox before embarking across the ice shelf. Interview of one of the world’s greatest living explorers at the approach of the D-Day. Why have you decided to attempt to cross Antarctica during the southern winter? There are many reasons for such an expedition. Firstly, our attempt aims to raise $10 million for Seeing is Believing (http://seeingisbelieving.org.uk/) that is a global charity tackling avoidable blindness and visual impairment across the world. In the past, I succeeded raising over $22 million for charity. I view adventure and challenge as a great way to raise money for deserving causes. Secondly, five international science projects will be carried out on the ice which will aid our understanding of some key questions about our planet, the climate, but also the human race and our capacity to endure extreme conditions, both physical and psychological. No-one has ever collected data beyond the reaches of the research centres during the Antarctic winter before, so the expedition will be doing something valuable and unique. The expedition will also provide an unprecedented opportunity to see how materials and machinery work in the coldest environments on earth. A project will be using the similarities that exist between the conditions humans encountered on a winter Antarctic expedition and those found in space. It is hoped the findings will help shape mankind’s approach towards future long-distance space travel. Thirdly, the expedition forms the basis for an education programme that will reach 200,000 schoolchildren across the Commonwealth. The schools will follow the traverse and will access to key information on a specific educational web area on the website of the expedition: The Coldest Journey. Finally, we are doing this because it has never been done before! We want to show that the UK can still do things that no-one else has achieved. A winter traverse of the Antarctic is widely regarded as the last true remaining polar challenge and the expedition’s success will reassert Britain’s status as one of the world’s greatest nation of explorers. The traverse should be more difficult from a physical standpoint than the previous ones you undertook in 1979-1982 and 1992 as it takes place during the winter. In the same time, you will remain connected to the world, more than ever during your previous expeditions. What is your feeling about this? Yes, we will be more connected to the world. As with any expedition of such magnitude, we think that excellent communication is critical to the success of the venture. We will employ many types of cutting-edge communication technologies during the expedition in order to communicate mainly with a crew in London, which will provide additional communications and a link to the outside world. Further links will be made to the media and to the schools that subscribed to the educational programme. All of the Ice Team have been trained in the use of equipment and made familiar with the communication schedules. However, I do not think that this technology will make the whole expedition easier than my previous ones in Antarctica. The risks remain very high indeed for the team; simply by inhaling air below -60°C can cause irreparable damage to the lungs and exposure to the skin to such temperatures causes severe frostbite in a matter of seconds. If anything should go seriously wrong, a search and rescue mission would be impossible since aircraft cannot fly in such cold conditions due to the threat of their fuel freezing. In the event of a major incident, the crew will have to sit out the winter on the ice until summer when a rescue attempt can be made. 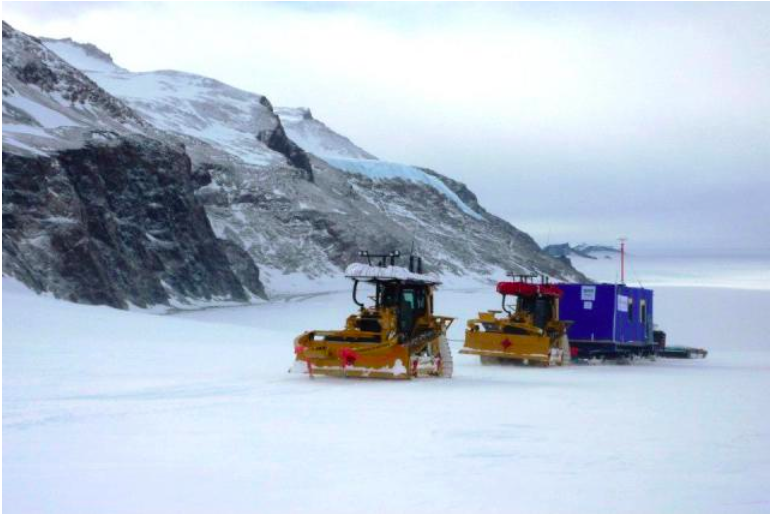 There will be two people skiing (Ran, permanently, and another member of the Ice Team) and four people driving two modified Caterpillar D6N vehicles each towing a caboose for scientific work and accommodation and store and fuel sleds. Why have you decided to cross the continent this way? When I decided to cross Antarctica during the polar winter, I wanted to ski across Antarctica – without any vehicle. I wanted to place some food and equipment (such as the equipment required to carry out scientific experiments) depots on the route during the summer. The Foreign and Commonwealth Office has however refused to grant permission to take on the challenge because it has been deemed far too risky and the chances of disaster too high. This decision was only overturned after it was shown technological innovations and the use of two modified Caterpillar D6N vehicles could mitigate some of the major risks of the crossing. The two 20-tonne D6Ns have been modified for two years by expert mechanics at Caterpillar and Finning UK to help cope in the extreme weather conditions. This includes modifications to the core heating system, insulation and special materials to cope in the extreme cold. The D6N vehicles, the cabooses and the food for one year would be very helpful in the event of a major incident if we had to wait on the ice until a rescue attempt in summer. What is your feeling one month before the departure? We have been on the Antarctic continent since January. We have tested and checked equipment in order to be ready for the start of the expedition on March 21. We are currently on the route to place fuel depots. We have already tested the machine over 200 kilometers. We have still 300 kilometers to drive before the first depot. We have to deal with steep ascents. If there are too many mountains, an alternative route will be taken. Our main feeling is that we do not know, at this stage, if we will succeed in such an enterprise to cross the Antarctic continent during the polar winter. We believe that our chances of success are very good. We have a detailed risk mitigation plan but, obviously, this is not a risk-free venture. The team has researched the expedition for over five years and is well-prepared for the dangers, thanks to the advice and assistance of some of the world’s leading authorities in polar travel and specialist cold weather equipment. You can follow the expedition on its website: http://www.thecoldestjourney.org/ and on the Coldest Journey Facebook page. Throughout the expedition they will be updated with regular bulletins from the crew so you can experience the adventure with them.